Orthotics are insoles that are custom-molded to support the specific needs of your feet. They help restore the normal balance and alignment of your body by gently correcting foot abnormalities, and they absorb shock from the ground to reduce stress and strain on your feet and ankles and, subsequently, on your body. Many biomechanical (walking) complaints such as heel pain, knee pain and low back pain are caused by poor foot function. 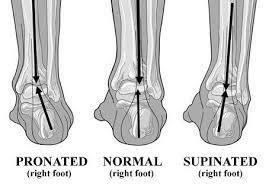 The use of custom orthotics, which have been created specifically for your feet, re-align the foot and ankle bones to their neutral positions, thus restoring natural foot function. Orthotics provide relief for individuals who experience foot pain or discomfort due to walking imbalance including flat feet, heel pain, knee pain and shin pain. People who stand or walk all day (especially on surfaces such as concrete) will benefit from orthotics. 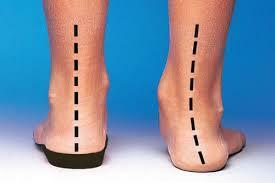 What are some specific conditions which are helped by orthotics? Footmaxx™ orthotics that are dispensed by our clinic are custom made for your feet and should not be confused with over-the-counter arch supports that may help the occasional patient with minor arch discomfort, but they frequently fail because they do not properly control foot function and/or do not properly fit the patient’s feet. Footmaxx™ orthotics are made in their own lab and are overseen by a Podiatrist (Doctor of Podiatric Medicine). Footmaxx™ orthotics are fully guaranteed, come with a warranty and are covered through most extended health care insurance plans.